At D&M we stock and sell the entire Solidor collection. With a vast variety of door designs, colours and finishes the Solidor brand is an exceptional choice for your home. All Solidor products are composite doors made with a mixture of plastic, wood, insulation foam and glass. This allows them to be extremely sturdy and durable whilst retaining heat and keeping your home firmly secure. The Solidor brand is extremely versatile, with over 10 different door ranges to choose from. We can supply traditional style doors, contemporary doors or even a mix of both. Our Online Door Designer allows you to create a door to suit your personal style and design aesthetic. Not only can you choose the door and frame colours, we can provide a vast range of accessories from door knockers, door handles and letterplates. We can supply Solidor doors with a variety of security lock types. Ultion Lock, Avantis Lock, Key Wind Up, Keyless Digital Lock, Heritage AV2 are all high security and extremely reliable locks. The Ultion lock is fitted to every Solidor door as standard, making sure each door made is secure and safe. 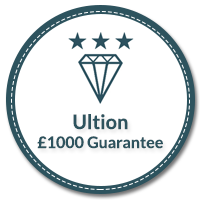 With our £1000 guarantee if a break in occurs as a result of the lock snapping, you will receive £1000 from Ultion. 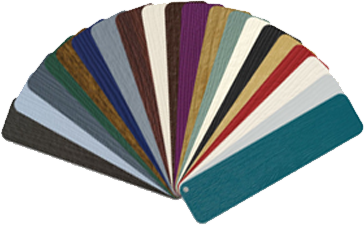 With 20 colours available you can choose the perfect colour for your door. Not only do we have high quality finishes to make the entrance of your home unique and vibrant, you can also have a different colour for in the inside too.